The discount is valid for selected Nike styles. Available while supplies last. Shop Adidas, Nike, Jordan, and more. Select styles. Valid while stocks last. Some products may be excluded from sale. Sale includes sneakers, headwear, shirts, tees, pants & more. Do you like street fashion clothing? Hoodies, sweatshirts, longsleeves and more are available at BSTN. Want to do shopping at reduced prices? It's easy with promo codes. Click on “Show coupon code” button. Click “Copy” button on the new page and your code is ready to use. 2. At the top menu choose the product you want. It can be apparel, footwear, accessories and even headwear. 3. Click on the item you want to buy and at the next page select your size. 4. Press "Add to Cart" and on the pop-up click the button "To the Cart". Scroll down the new page to view the items in your cart. Pay attention to the “Enter promotional code/discount coupon“ field on the page. Paste the code you have and click "Redeem Now". 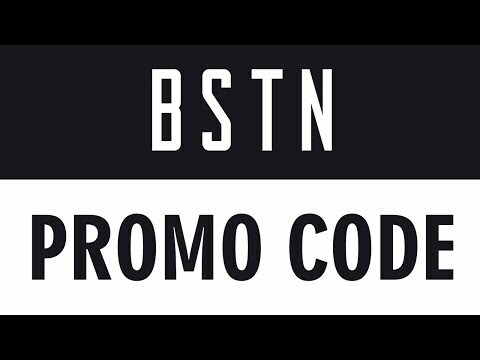 BSTN store is an online speciality store that deals in the most coveted street fashion clothing items from top brands such as Jordan, Reebok, Adidas, Norse project, Nike, Stone Island and more. With categories ranging from apparel, footwear, headwear, and accessories, BSTN store is the go-to place for original, high quality, affordable street fashion wears that are guaranteed to get heads turning anywhere you go. Shop for the latest releases in designer shoes or rare vintage pairs. Get limited edition items fashion pieces, invest in your style and showcase your fashion sense with items from BSTN.